David Mitchell was born on 14th July 1974 in Salisbury, England. His parents, Ian and Kathy Mitchell, worked as hotel managers in Salisbury. David also has a brother. In 1977 the family moved to Oxford, where his parents taught a course in hotel management at Oxford Brookes University. David was educated at Abingdon School in Oxfordshire. He has been writing comedy material since his schooldays when he used to write comedy sketches with his friends. A year before he went to college, David worked for a while as a proofreader for the Oxford University Press. He studied History at Peterhouse College, Cambridge. Whilst he was studying at Cambridge University he joined the Cambridge Footlights, where he met his comedy partner,Robert Webb. David became President of the Cambridge Footlights and after graduation he and Robert staged a two man show at the Edinburgh Fringe Festival.Early in his career David worked as a freelance writer on comedy sketch shows including 'Armstrong and Miller' and 'Big Train'. He also appeared as Owen, the IT specialist, in 'Think the Unthinkable', a BBC Radio 4 situation comedy about a firm of management consultants. David made a guest appearance as Owen in one episode for the first series. This episode was broadcast on 6th November 2001. His character proved to be so popular that Owen was co-opted as a full member of Unthinkable Solutions and David appeared in all six episodes of Series 2 of 'Think the Unthinkable'. 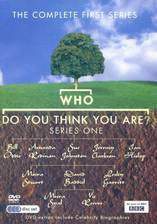 These episodes were broadcast on BBC Radio 4 from 7th November 2002 to 12th December 2002. 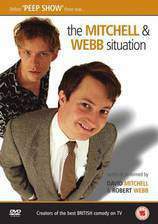 In 2001 David and Robert co-wrote a six part comedy sketch show 'The Mitchell and Webb Situation', which was broadcast on Play UK. 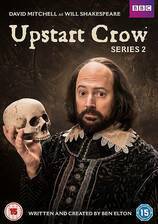 The series was directed by David Kerr, who would later work with David and Robert on their BBC2 sketch show, "That Mitchell and Webb Look" (2006), and several sketches featured the actress Olivia Colman. Also in 2001, David bought his first home, a small flat in the Kilburn district of London.In 2003 David was cast as Mark Corrigan in the Channel 4 situation comedy, "Peep Show" (2003). 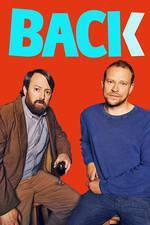 This series follows the lives of Mark and his friend Jeremy, played by Robert Webb, who share a flat in Apollo House, a London apartment block. Mark works for a company called JLB Credit. His work colleagues include Sophie Chapman, played by Olivia Colman. The show has a distinctive look because of its extensive use of subjective camera angles, as viewers are shown events from Mark and Jeremy's point of view. The series also makes use of voice overs in which Mark and Jeremy reveal their innermost thoughts. The first series was broadcast in six episodes between 19th September 2003 and 24th October 2003. "Peep Show" (2003) was an instant success. 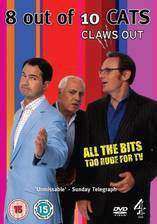 The show was nominated for the BAFTA television award for best situation comedy in 2004, and a second series was quickly commissioned. 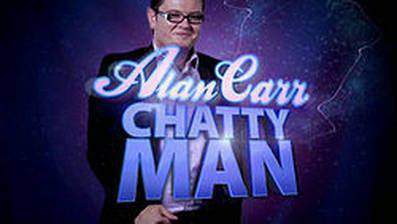 This was broadcast in six episodes on Channel 4 between 12th November 2004 and 17th December 2004. As a result of David's filming commitments for the second series of "Peep Show" (2003), he was only available to record some of the episodes for the third series of the Radio 4 sitcom, 'Think the Unthinkable', which was broadcast in six parts between 13th July 2004 and 17th August 2004. To explain his absence, the writers devised a storyline in which David's character Owen went into hiding, and a new IT consultant, Jed, played by Robin Ince, was drafted in to cover for him.The first series of 'That Mitchell and Webb Sound', a comedy sketch show, was broadcast on BBC Radio 4 between 28th August and 2nd October 2003. All of the characters in the radio show were played by David, Robert, Olivia Colman and James Bachman. It was in Episode 5 of Series One, broadcast on 25th September 2003, that a character called Sir Digby Caesar Salad made his first appearance. Sir Digby was played by Robert and David took the role of his trusty sidekick Ginger. These characters would later feature prominently in the sketch show when it transferred to BBC2 in 2006. After the success of the first run of six episodes, 'That Mitchell and Webb Sound' was commissioned for a second series, which was broadcast in six parts between 10th February and 17th March 2005. Episode 5 of the second series, which went out on 24th February 2005, included a sketch about a game show called Numberwang. David returned to play Owen in the fourth and final series of 'Think the Unthinkable'. This consisted of four episodes broadcast on BBC Radio 4 between 28th September and 19th October 2005. David ended 2005 by starring in the third series of "Peep Show" (2003). 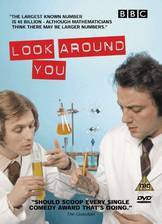 This was shown in six parts by Channel 4 between 11th November 2005 and 16th December 2005 and went on to win the best TV comedy award at the 2006 British Comedy awards. In the third series, Alan Johnson, an executive at Mark's firm JLB Credit played by Paterson Joseph, memorably explained his attitude to personnel issues by saying that in his opinion illness is weakness.The format of the Mitchell and Webb radio series was used for a television sketch show, "That Mitchell and Webb Look" (2006), the first series of which was broadcast on BBC2 in six episodes between 14th September 2006 and 19th October 2006. The television series featured a number of sketches first used in the radio show such as the surprising adventures of Sir Digby Caesar Salad, now renamed Sir Digby Chicken Caesar. The Numberwang game show also featured in every episode of the first TV series. Usually Robert played the game show host, but in one episode David hosted a German language version of Numberwang. 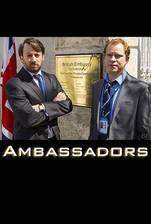 In 2006 David and Robert went on a tour of Great Britain with their stage show, 'The Two Faces of Mitchell and Webb'. This opened at the Pleasance Theatre in London on 12th October 2006 and ended at the Assembly Hall Theatre in Tunbridge Wells on 10th December 2006. In December 2006 David was the best man at Robert's wedding to Abigail Burdess.In 2006 David hosted a pilot episode for a comedy panel game called 'The Unbelievable Truth'. In the game, the contestants each deliver a lecture on a given subject. Their talks consist almost entirely of lies, but the lectures always contain a few items of genuine factual information. The other contestants have to identify the items of true information, and points are won by correctly identifying true facts, and also for successfully smuggling truths past the other contestants. 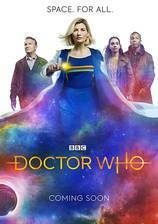 The pilot episode was broadcast by BBC Radio 4 on Thursday 19th October 2006, and it led to a full series of six episodes which ran from 29th April to 3rd June 2007. The writers of "Peep Show" (2003), Jesse Armstrong and Sam Bain, wrote the screenplay for 'Magicians', a comedy feature film starring David and Robert as rival stage musicians. 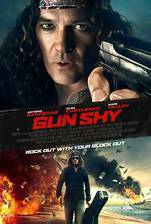 This film went on general release in Great Britain on 18th May 2007. 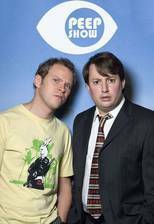 "Peep Show" (2003) returned in the spring of 2007 for its fourth season after a slightly longer break than usual. As usual David and Robert collaborated on the scripts with Jesse Armstrong and Sam Bain by providing additional material. 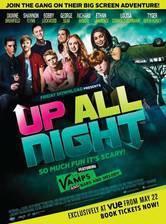 The series was shown on Channel 4 in six episodes between 13th April and 18th May 2007. David was nominated for the best TV comedy performance award at the 2008 Television BAFTAs for his portrayal of Mark in the fourth season of "Peep Show" (2003). The show itself won the award for best TV comedy at the 2007 the British comedy awards, and the best sitcom award at the 2008 Television BAFTAs. Just after "Peep Show" (2003) had completed its run on Channel 4, David co-wrote and starred in the third series of 'That Mitchell and Webb Sound', which was broadcast in six episodes on BBC Radio 4 between 24th May and 28th June 2007. 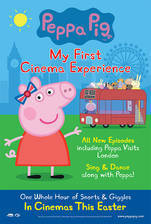 The highlights included 'Celebrity Fame Zeppelin', a sketch which parodied reality television shows like 'Big Brother'. 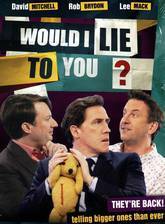 Also in 2007 David was one of the team captains in the first series of 'Would I lie to you?' 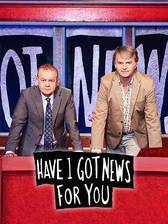 This was a comedy panel game shown on BBC1 television in six parts between 16th June and 28th July 2007.The first series of "That Mitchell and Webb Look" (2006) won a BAFTA award, and the sketch show was commissioned for a second series. 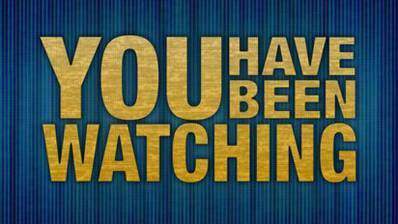 This was broadcast on BBC2 in six episodes between 21st February 2008 and 27th March 2008. Later in 2008 David hosted the second series of 'The Unbelievable Truth', which went out on BBC Radio 4 between 5th May and 9th June 2008. There was also an 'Unbelievable Truth' Christmas special, which was broadcast by BBC Radio 4 on Monday 15th December 2008. In the late spring of 2008, "Peep Show" (2003) returned for its fifth season, which was broadcast in six episodes by Channel 4 between 2nd May and 6th June 2008. The fifth series featured a new character called Dobby played by Isy Suttie, who was nominated for the award for best female comedy newcomer at the 2008 British Comedy awards. Also at the 2008 British comedy awards, David was nominated for best television comedy actor, and Olivia Colman was nominated for best television comedy actress for her performance as Sophie Chapman. 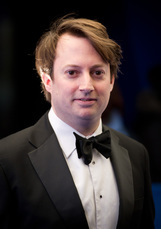 Unfortunately, none of the three "Peep Show" (2003) nominees won on the night, but David's role as Mark was recognized at the 2009 Television BAFTAs when he won the award for best comedy performance. In his acceptance speech at the awards ceremony which took place at London's South Bank on Sunday 26th April 2009, David said that the award should really have been shared with his comedy partner and co-star in the sitcom, Robert Webb.David returned as one of the team captains in the second series of BBC1's 'Would I lie to you?' This was shown in nine episodes between 11th July and 19th September 2008. The ninth episode of the second season was a compilation of highlights and previously unseen material. In the spring of 2009, David hosted the third season of 'The Unbelievable Truth'. This was broadcast in six parts by BBC Radio 4 between 23rd March and 27th April 2009. 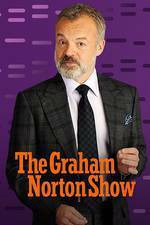 One of the guests in the third season was Graeme Garden, who had originally helped to devise the format of the game show. David made a guest appearance in two episodes of the BBC Radio 4 topical debate show, 'Heresy'. 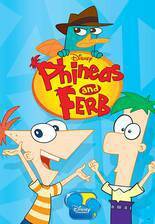 The episodes in question went out on 5th and 19th May 2009. 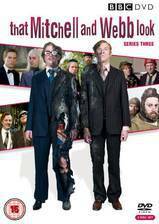 The third season of "That Mitchell and Webb Look" (2006) started on BBC2 on Thursday 11th June 2009. Episode: Are We Going to Be Alright? Episode: What Bloody Man Is That? Episode: Lord, What Fools These Mortals Be!